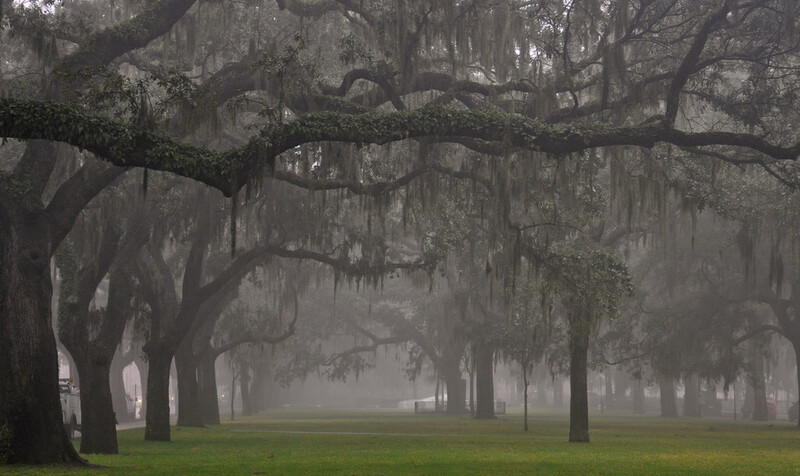 Savannah, Tybee Island, and then Milledgeville, Georgia, looking for the ghost of Flannery O'Connor. Found her, and, as a bonus, the ghost of Robert Louis Stevenson as well. ​2018-2019 Key West Literary Seminar (featuring Margaret Atwood and Joyce Carol Oates). Fall 2018 Up for tenure this year at Northeast State. Summer 2018 Several short stories. flash fiction, and poems published. Worked on novels and "media plays." And my ping pong serve. New dog! 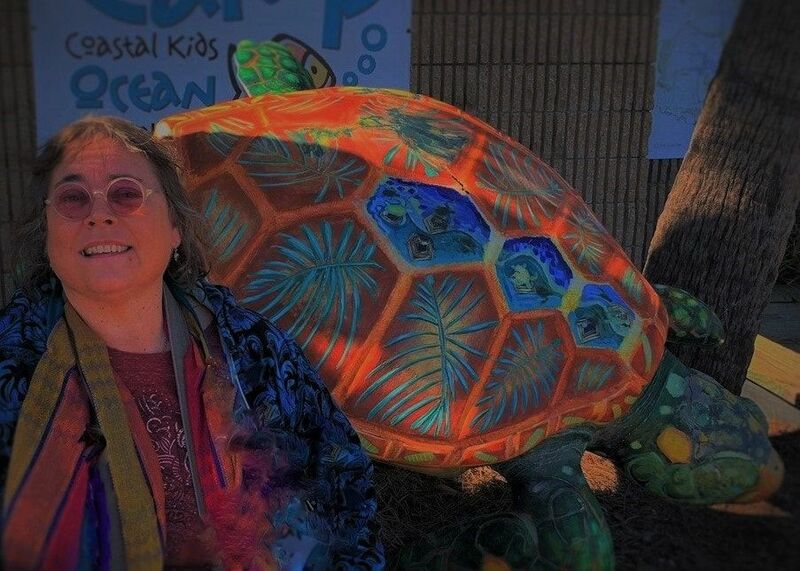 ​Winter 2018: Received funds for a workshop with Madison Smartt Bell at Key West Literary Workshops. Enjoyed it! Fall 2015: Took several jobs as a copy editor, outlined The Return of Haley's Comment, dealt with the usual personal and some unusual health issues for me and for Kismo, but got through it (thank goodness). Summer 2015: spent the summer working on revisions of Haley's Comment and also a collection of entwined and interconnected short stories called Marcelo's Victorian Wonderland. Winter Spring 2015: 2/6 Presented at the Mildred Haun Appalachian Literature Conference at Walters State Community College. Several of my works will be appearing in their literary magazine this spring. Thank you, Brad Owens, for the invite and the support. Ernest Hemingway's Key West house at night, a rare opportunity to be on the premises after closing to kick off the KWLS literary season. There were ghosts aplenty, some said. JANUARY 2014... At the Key West Literary Seminar 2014, I was honored to meet Billy Collins, one of my favorite poets, and to read from my poetry and prose. A moment before classes, with J.B., Northeast State's mascot. for Blackbeard (and dolphins), Savannah for Flannery O'Connor, Robert LouisStevenson, Johnny Mercer, and Martin Luther King, Jr.. Then, it was on to Milledgeville to visit Flannery's farm. As we left, we drove with care. A good man was hard to find. And, luckily, we didn't find one. Nor did we stray into any of the barns with Bible salesmen. Flannery O'Connor at Andalusia with her peacocks. 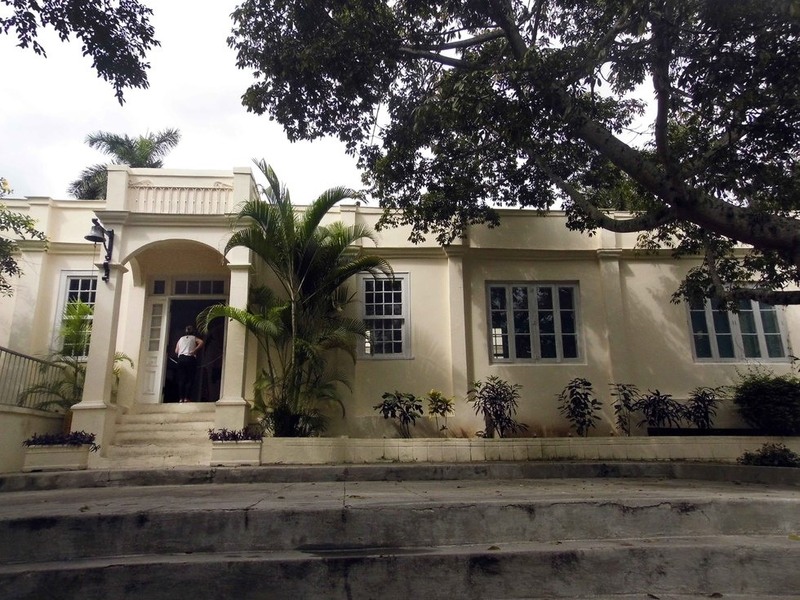 Hemingway's House outside of Havana, Cuba, "Finca Vigia," which means "the lookout house." 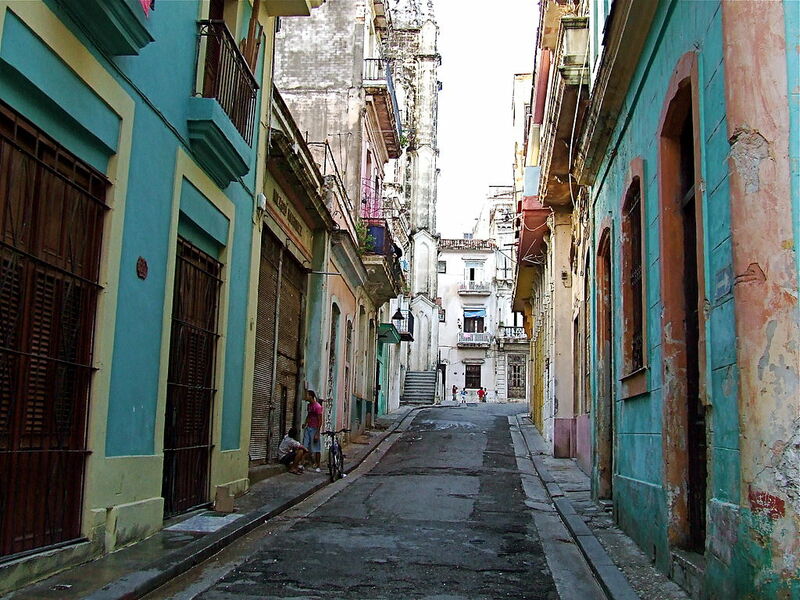 Havana, Cuba, both light and dark: much to admire, much to ponder, and a profound sense of sadness for the Cuban people themselves. ​"Be What's Left" this month. Just received word from Grasslimb Journal and they've accepted my poem "Jokes of Time" for their late summer issue. Thanks for letting me share that with you. I'm overjoyed, as I've wanted to be in Grasslimb for some time. of heading to Cuba... it could happen in June. 2/11/17 Honored to be the featured reader at Poets of Northeast Tennessee on Feb. 11. What a lovely group of people. 11/10 I've been accepted into the Key West Writing Seminar for the fourth year in a row and in January will be taking my work in progress, Come One, Come All (aka Marcelo's Victorian Amusements), a collection of entwined short stories. Looking forward to the Keys. Traveling with dear friend and fellow writer Craig Bradley Owens, also accepted to the seminar. 9/21 My poem "Haymaker" is being published in the Fall issue of This Land. Many thanks to the editors of this fine Midwestern journal. 3/14 My poem, "The Huntress" has been accepted for inclusion in a poetry anthology entitled The Dark Ones: Tales and Poems of the Shadow Gods, due in print later this year. 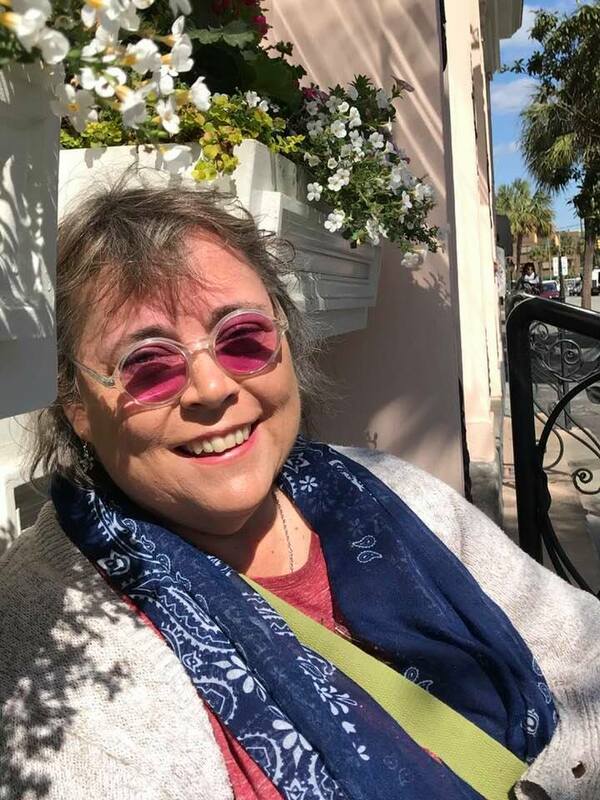 3/10 "Passing Through Shadow," a short story, is being reprinted in an anthology centered on mythological motifs, Garland of the Goddess: Tales and Poems of the Feminine Divine. 12/15/15 William Jessup University's journal Metonym is publishing my poem "Pluto Mystique" in their 2016 Winter issue. Hooray! ​10/17 Here's the link to my poem newly out on pioneertown . Thanks, Brenna Kischuk! 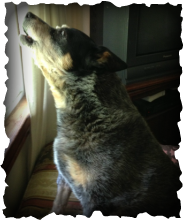 a London publishing house, has accepted my poem "Blue Heeler Rules"
And The Tail Wagged On, coming out in October. 7/31 My poem "Tumbleweed Dreams" has found a home in the new online journal pioneertown. Happy day! This Land has accepted my poem "Hay Maker" for their Winter 2016 issue. 5/2 Pentimento Magazine has accepted my non-fiction piece, "Wild Dogs, Summer Days" for their next issue. It's a nostalgic piece as well as a reflection on growing up with a deformity. 4/20 My poem "Because It's Nighttime Again" will appear in the debut issue of the Rocky Point Review. Thank you so much, Samuel Simas! I'm honored. 4/17 Two of my essays have been accepted for publication in Lit House Memories, edited by Sarah Gearhart and published by James Dissette, "The New Frontier," and "The Ghost of O'Neill House Past." 1/25/15 My poem "Poseidon Night" will be reprinted in the book Roaring Deep, edited by Rebecca Buchanan. 11/2/14 My poem "Late Summer Tomatoes" was published in WestWard Quarterly this week. 7/31/14 Hanging Tight Aboard the Stella Irene is a quarter-finalist in the Mary Ballard chapbook competition hosted by Casey Shay Press. 6/20/2014 Angle Poetry has published my poem "Wizardry" in their summer issue. 6/5/2014 "Local Charity," a poem of mine, has been accepted and published by The Camel Saloon:http://thecamelsaloon.blogspot.com/2014/06/local-charity.html Thanks, editor Russell Streur! 5/3/2014 OCEAN Magazine today accepted my poem "The Trip Out and Back" (a tide poem) for their next issue. I'm joyous to be part of this beautiful magazine again! Thanks, editor Diane Buccheri! 5/1/2014 My poem "Yard Cicles" found a home in the summer issue of The Summerset Review, now live. Thanks, Poetry Editor Meredith Davies! 4/30/14 Haiku Journal has accepted "Fourth of July Showers" for its summer issue: http://haikujournal.org/e-issues/. 4/28/14 My poem "May Song" has been chosen by Hyacinth Noir for their Beltaine issue, available May 1st. Set at ETSU. 4/24/14 Mountain Tales Press has honored me with the Ghost Mountain Award for "Rattlers and Aliens, 1972." 4/17/14 Synchronized Chaos will publish three of the April poems, "Tick Tock Clock," "Branded by Smoke," and "The Composite," as well as that old John Gardner as motorcycle ghost story "Reciprocus." 2/16/14 My non-fiction piece "Rattlers and Aliens, 1972" was accepted by Whisperings Magazine today. 1/25/14 About Place Journal just accepted my non-fiction piece "Dangerous Heat 1974" about a race riot at Southern High "back in the day".